Spearheading a second-generation entrepreneurial endeavour to becoming one of the most sought-after names in the steel manufacturing and ship breaking business, Mr. Kamal Kishore Gupta epitomizes strong will & commitment. 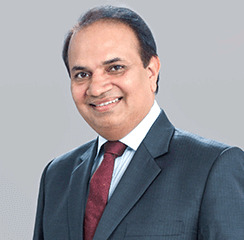 A seasoned businessman with over three decades of experience in the industry, Mr. Gupta plays a pivotal role in carving the high growth trajectory for Omkar. His acumen and resourcefulness have given Omkar a strong foothold in the banking and investment fraternity. Mr. Gupta’s humility & passion has set an example for everyone at Omkar and is the foundation of all progress made by the group. 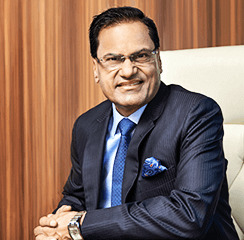 Quoted as "the undisputed king of Mumbai's redevelopment industry" by Forbes Magazine (May 2012), Mr. Babulal Varma is Omkar's co-founder and Managing Director. A visionary leader, he is committed to establishing Omkar as a value driven organization. A people's person, Mr. Varma has seamlessly embedded qualities of diligence, integrity and punctuality in all aspects of the business ensuring value for all stakeholders. He maintains a keen focus on corporate growth but his commitment to socially relevant initiatives is unwavering. His philanthropic mission extends beyond rudimentary Corporate Social Responsibility (CSR) endeavours. Mr. Varma has received accolades from several sources for his achievements and was felicitated as the “Young Business Leader for 2012” by Realty Plus magazine. 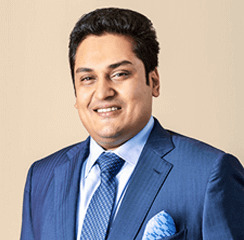 Omkar Realtors & Developers Mr. Gaurav Gupta is the youngest director on the Board. With an MBA from Cardiff University, UK, he has infused the company with path breaking ideas and necessary vitality. His brief includes overseeing the finance, human resources, and legal and operations departments of the company. His natural flair for leadership is apparent as he takes centre stage by implementing best practices that pave the way towards recognition amongst industry stalwarts. 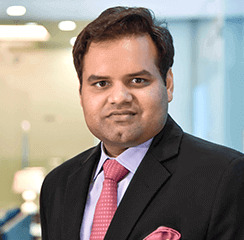 Mr. Gupta’s natural business acumen and focused approach has made Omkar one of the few realty firms to have improved its credit rating and successfully attracted two rounds of major private equity funding. 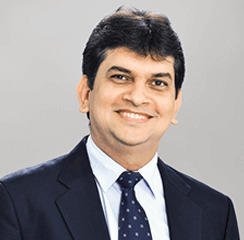 An integral part of Omkar's strategic nucleus, Mr. (Devang) Tarachand Varma leads the decision-making processes for Omkar's Sales, Marketing and CRM teams. 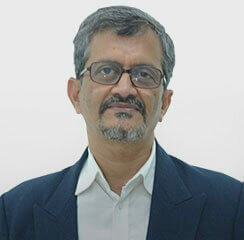 He also spearheads brand building initiatives and leads the corporate affairs team of the Omkar group. With added qualifications in Information Technology, Mr. Varma has amassed a wealth of knowledge in the construction industry. His knowledge and natural acumen for technology have been the driving forces behind strengthening the company's IT systems. There are few who can boast of the know-how and expertise garnered by Mr. More, a civil engineer, over a career that has seen entrepreneurial ventures and corporate setups. 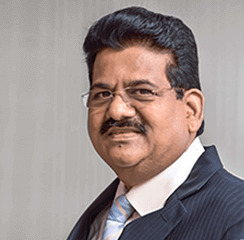 A veteran with over 30 years in the real estate industry, Mr. More is responsible for building the elaborate land bank, which forms the backbone of Omkar’s ambitious plans to transform the realm of real estate in Mumbai. Mr. Rajendra Varma is a chartered civil engineer with over 14 years of experience in real estate and infrastructure. 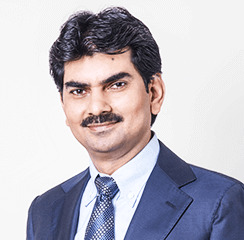 His in-depth knowledge and experience, backed with a flair for new technology, have enabled Omkar to extend itself to some of the finest contractors both locally and globally. Mr. Varma oversees the EPC (Engineering, Procurement & Contracting) function at Omkar and has been instrumental in introducing new technologies for Omkar's projects across Mumbai. He has successfully brought India’s largest construction companies on board with Omkar. Mr. Gupta is a hands-on leader and ensures that a streak of dynamism and drive underlines every effort put into the company by all his associates. His fast-tracked career in a short span of 6 years is the result of sheer dedication and a willingness to innovate and improvise. His go-getter approach and active engagement in management of day to day affairs of SRA & Liaisoning activities of the company make him a force to reckon with in the real estate space. Mr. Bhanupratap Ramadhar Singh serves as a Director at Omkar group overseeing regulatory compliance. 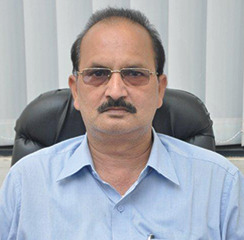 He has rich experience of over three decades spanning steel, construction and the realty sectors. His understanding and expertise of the regulatory environment that govern the real estate sector and Omkar group’s vision and policy to function as an ever-compliant entity, goes hand in hand to raise the bar for all our project compliance and overall transparency. Developing a better tomorrow for a resurgent urban India. Omkar will strive to transform lives by nurturing a passionate entrepreneurial culture to deliver the highest standards in all of its actions. Our core values embody Customer Focus, Teamwork, Excellence, Equality, Inclusion and Integrity. Omkar 1973 Worli was awarded 'India’s Best Luxury Project of the Year' at India's Best Realty Brands Awards Asia Pacific 2016. Omkar Realtors received the ‘CSR Initiative of the Year 2016’ award, for CSR activities done by Omkar Foundation. Omkar Realtors received the 'CSR Initiative of the Year 2016’ award, for CSR activities done by Omkar Foundation. Omkar Realtors received the award for 'Slum Rehabilitation Developer of the Year 2016’, a special award for redeveloping slums across Mumbai. Omkar Realtors received the award for `Super Luxury Project of the Year 2016’ for Omkar 1973, Worli. Omkar Realtors was recognised as the 'Slum Developer of the Year' for its efforts in slum redevelopment. Omkar Realtors received the prestigious ‘Sword of Honour Award for 2016’ by the British Safety Council for its flagship project Omkar 1973, Worli. Omkar Realtors was awarded the 'Best SRA Project of the Year - West Region’ (Alta Monte - Janubhoy Compound)’ at Midday Real Estate Icons Award 2016. Mr Gaurav Gupta & Mr. Vikas Gupta, (Directors) Omkar Realtors receiving Developer of the Year Residential award, for Omkar Alta Monte, Malad project. Sumanth Kumar, Advisor PR, receives IPRCCA 2015 award from Rashmi Jolly, Brand Head, Air Vistara, for campaign supporting Slum Free Mumbai Vision. Leadership Breakthrough workshop held for HOD’s, the Chairman and 2 Directors with the Senior Leadership Team - 25th to 27th Nov 2015. DGM- IT, Chitranjan Keshari, received the Innovative CIO Award 2015 by Bitstream Mediaworks Pvt Ltd., for implementation of SAP on HP Unix platform. Director, Gaurav Gupta, and industry panellists on views on the critical challenges faced by the Realty sector at The ET Realty Convention, 2015. Omkar’s CMO, Bharat Dhuppar, with panellists during a discussion on the future of luxury washroom design at Design Dialogues held in December, 2015. ACEF bestowes Omkar Realtors with the “Most Admired Developer for Community Upliftment” and “SRA Development with Human Touch” awards. SPACES bags Gold and Silver at Best Designed House Journal for layout, content and cover-Ernakulum Press Club in association with PRCI South Chapter. Chitranjan Keshari receives first of its kind Special Recognition Award from CISO Platform for implementation of BYOD policy for mobile security. Omkar 1973 Worli awarded for Best Ultra Luxury Residential Developer in Western Region and Best Ultra Luxury Residential Development–Mumbai 1973. Omkar Realtors was bestowed with the award for Slum View App developed internally by Infotech team at the 9th Realty Plus Excellence Awards’17. 01When was Omkar Realtors and Developers established? Omkar Realtors and Developers was established in the year 2003. 02What kind of projects have been completed by Omkar Realtors and Developers? 03Does Omkar Realtors and Developers have projects outside Mumbai? No. Omkar Realtors and Developers does not have projects outside of Mumbai. 04What category of homes is Omkar Realtors into? Omkar Realtors and Developers mainly focus on luxury, uber-luxury, boutique and redevelopment projects. 05How many completed projects does Omkar Realtors and Developers have, at this point? At this point, Omkar Realtors and Developers have 14 completed projects. 06Which are the future projects for Omkar Realtors and Developers? Omkar Realtors and Developers has 6 residential and one commercial project which are in progress, at this point. 07How many ongoing projects does Omkar Realtors have, at this point? 08Does Omkar Realtors and Developers have any branch offices in other cities? As of now, Omkar Realtors and Developers is based out of Mumbai only. Recently voted the no. 1 Building Services Engineer and the no. 2 Structural Engineer in the BD top 100 architect rankings, Buro Happold is a well-established name with offices in 29 countries worldwide. Spanning engineering consultancy, design, planning and project management for all aspects of building, infrastructure and the environment; the firm has excelled in performance and delivery. As structural engineers, they have delivered award-winning marvels including the Royal Shakespeare Theatre in UK and Tuwaiq Palace in Riyadh among others. Understanding the market dynamics and honing this knowledge across 20 countries over 20 years of experience, Callison (USA) has emerged as a leader in architectural design. A formidable client list featuring multiple Fortune 500 companies including Apple, AT&T; Microsoft, Wells Fargo among others has been possible only because of their expertise in delivering a user driven sustainable design. The world-renowned Foster + Partners will be undertaking their first residential development project in India with us. The PETRONAS University of Technology in Malaysia is one among the many esteemed projects that have been undertaken by Foster + Partners. They won the Architect Practise of the Year at the Middle East Architect Awards, the Architect of the Year at the Gulf States Building Awards and the Architecture Firm of the Year at the Commercial Interior Design Awards in the Middle East. A solution provider in the field of design, environment and energy consultancy, LDA Design brings together sustainable development and an ever-changing physical landscape to make commercial realities happen. Commended and acknowledged for their planning and design work, LDA Design lends a world of experience to all its endeavours, making them the latest recipient of the Landscape Institute Awards (UK) for Landscape Policy. Their key strength lies in overcoming barriers to development and creating deliverable solutions. Nearing 50 years of existence, which may as well be called 50 years of excellence, HBA is synonymous with innovation and sophistication. Awarded for their designs across multiple segments, like the Istanbul edition of ESPA, Amethyste Lounge by the Society of British Interior Design among others in the hospitality space, HBA has established its mark, world over. An expansive international presence, in-depth experience, and detailed industry knowledge have manifested themselves in HBA inventing new design trends and innovations rather than discovering them. Larsen & Toubro is perhaps one of the largest and most respected companies in India. 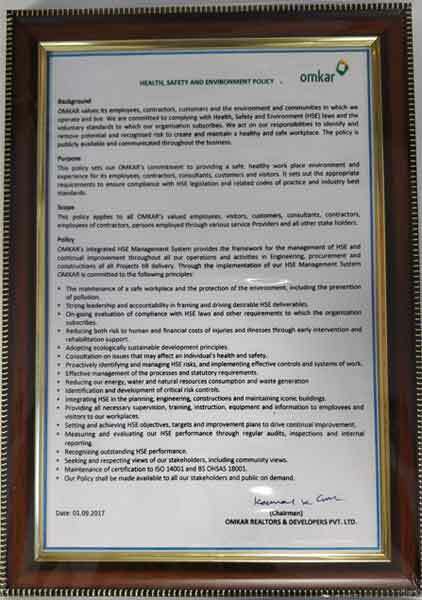 In 2011, this was confirmed when L&T was judged as 'the most respected company' by Businessworld magazine. L&T is known for its leadership and excellence in engineering, technology, manufacturing and construction. A recognized brand and strong equity in the areas of trust, reliability, excellence and rigor, is accepted by everyone – industry, government (India and foreign nations), investors and consumers. The pioneer real estate fund managers with AUM in excess of INR 37 billion, Piramal Indiareit is propelled by a team of seasoned real estate professionals and prudent investment philosophy. Red Fort Capital is a leading private equity real estate firm focused on India. The firm's institutional investors include sovereign wealth funds, global investment managers, insurance companies and pension plans. PERE magazine ranked Red Fort Capital as a "Top Ten Emerging Manager" worldwide in 2008. We feel privileged to collaborate with a client who is not afraid to dream big and whose commitment to quality and understanding of modern luxury matched our own. As a global player working for an Indian project, it is clear that Omkar has presented India with a vision of luxury lifestyle that the nation has never seen before. The synergies between timelessness and innovation, opulence and refinement, space and unity, make Omkar a trailblazer which is elevating the status of Mumbai around the world. Omkar Foundation and Kotak Education Foundation have a common social vision to ensure best deliveries for the weakest sections of the urban society - the large slum communities of Mumbai. The approach is extremely professional and there is lot of ground work, research that is being done. Omkar’s initiatives are based on clear facts and figures and we share the same degree of passion in the social space to achieve the set goals. We work with some of the leading brands of the country across categories like Godrej & Marico in FMCG, Raymond & Levis in apparel and lifestyle, Asian Paints, Pidilite and many more. In Real Estate sector, within Mumbai - we work with some of the leading brands like Omkar, Lodha, and Godrej Properties. Yes, we would certainly count Omkar as one of the leading companies. The brand stands out for its SRA leadership, innovative communication and advertising approach (e.g. best in class campaigns on radio and Outdoor). The common core values, vision and customer centric approach are some of the key reasons of successful partnership between Omkar and Schindler. One of the key initiatives which makes Omkar stand out is their contribution for betterment of Mumbai city through redevelopment and involving all stakeholders. 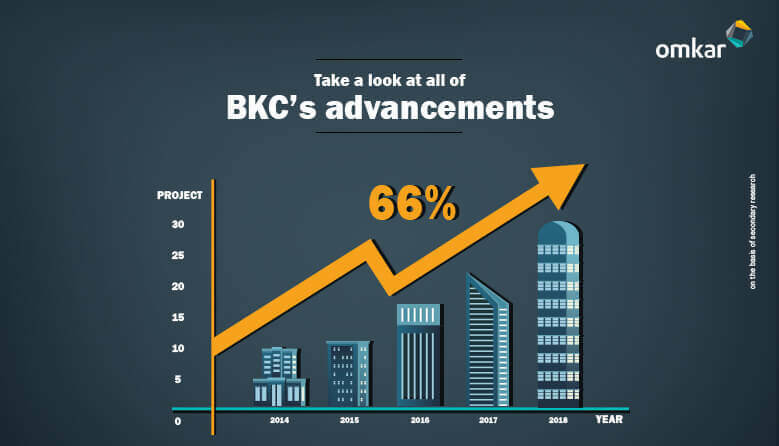 With Omkar’s excellent execution of projects, coupled with our e cient project management teams, we have been able to set new benchmarks in the industry. Building super-tall structures is easier said than done. The taller the building, the more challenging it is to design and execute the project. From construction and maintenance to energy consumption, there are a number of challenges when it comes to the tall towers.